290 pages | 30 B/W Illus. 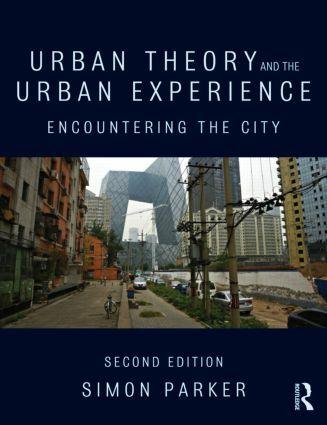 Urban Theory and the Urban Experience brings together classic and contemporary approaches to urban research in order to reveal the intellectual origins of urban studies and the often unacknowledged debt that empirical and theoretical perspectives on the city owe one another. From the foundations of modern urban theory in the work of Weber, Simmel, Benjamin and Lefebbvre to the writings of contemporary urban theorists such as David Harvey and Manuel Castells and the Los Angeles school of urbanism, Urban Theory and the Urban Experience traces the key developments in the idea of the city over more than a century. Individual chapters explore investigative studies of the great metropolis from Charles Booth to the contemporary urban research of William J. Wilson, along with alternative approaches to the industrial city, ranging from the Garden City Movement to ‘the new urbanism’. The volume also considers the impact of new information and communication technologies, and the growing trend towards disaggregated urban networks, all of which raise important questions about viability and physical and social identity of the conventional townscape. Urban Theory and the Urban Experience concludes with a rallying cry for a more holistic and integrated approach to the urban question in theory and in practice if the rich potent. Simon Parker is a Senior Lecturer in Politics and Co-Director of the Centre for Urban Research at the University of York, UK. His research primarily focuses on urban studies and urban theory, socio-spatial informatics, the politics of asylum and immigration, and comparative European politics (with particular reference to Italy). He is the author of Cities, Politics and Power (Routledge 2011).